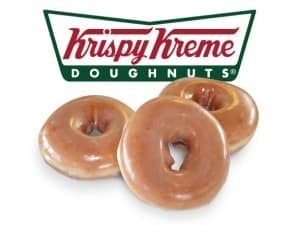 Just a reminder, June 1st is National Doughnut Day and to celebrate, stop by any participating Krispy Kreme shop for a free doughnut of any variety. No purchase necessary. I’ll post a reminder as the date gets closer. Where do I go for my free doughnut!? DO i need to print a coupon for the free doughnut? Do I have to share one of them? I think this is really nice of Krispy Kreme, you don’t get to much for free these days. Thanks. KRISPY KREME R THE BEST! I love Krispy Kreme Doughnuts they are always fresh to eat. I eat a box before i get home!